This new show from the Fox channel has become part of the list of shows I watch religiously. 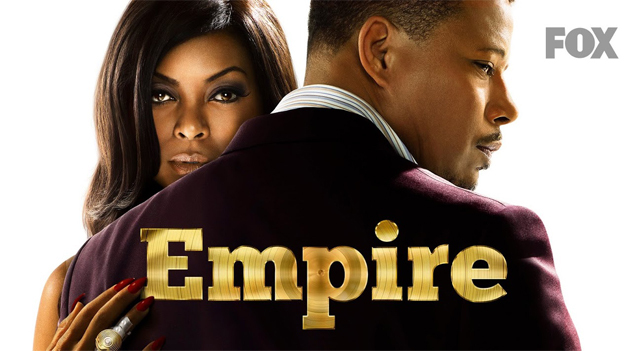 Empire is a musical drama television show that centers around an entertainment company that focuses on the hip hop music industry, which goes by the same name, and the drama comes when the sons of the CEO and founder of Empire Entertainment learn that they have to compete for the control of the company, after the father announces his indecision on who should take over. From the main cast, recurring cast to the guest stars, I couldn’t be more pleased. For the main characters of this drama we have Terrence Howard as Lucious Lyon, the CEO and founder of the Empire Entertainment also a former drug dealer whose diagnosis of ALS prompts him into finding a successor among his three sons, Andre Lyon, the eldest and now CFO of the family’s Company, the talented middle child, Jamal Lyon, who is seen in his father’s eyes as the “black sheep” of the family for being gay, and the youngest, Hakeem Lyon the father’s favorite. All of Lucious’ plans gets derailed after hes ex-wife and mother of his three sons, Cookie Lyon’s, played by Taraji P. Henson, early release from prison, where she is been for the past 17 years for taking the fault for Lucious after being arrested for running drugs for him. The show is not just about the drama, it’s also about the original music pieces, which I have to confess, is one of my favorite parts as well. All performed by the cast, from Hakeem and Jamal Lyon’s songs, we are also blessed with the participation of well known artists like Rita Ora, Patty LaBelle, Jennifer Hudson as Michelle White, musical therapist and gospel singer and Courtney Love as Elle Dallas, a multi-platinum rockstar, just to name a few. I must say that in the beginning I was a bit skeptical about the show, finding it a bit predictable, but the people involved in the making of Empire have proved me wrong with their plot development, and if the second season starts and continues on the same track as this amazing first season, I’m all in. Even though I am already a fan of this show, and as of this moment it is the top rating show from Fox Channel, I think the show needs a bit more creativity on the writing part. This show is literally my life. The season finale had me dying and crying. Can’t wait for season 2!! Yesss! I love Empire. And the marketing is brilliant! The songs are so good…I even bought the soundtrack! My fave tv series at the time! I agree with all the other comments this is a great show love music and i hate that one of the actor want be on there anymore also check out star that’s a great show as well comes on right after.